It would appear that American god-emperor Barack Obama has drifted during his bloody reign from being nearly 100% evil to being around, say, 50% evil. This is a good thing, and has allowed such positive events as the normalization of relations with Cuba, the stalling of the US invasion of Syria, and now the signing of an historic nuclear treaty with Iran. Of course, with the neoconservative bloc still strong in Washington, the victory may be temporary... nevertheless, every moment of peace humanity earns itself is a moment of additional life for the thousands of hapless humans who would otherwise become more lifeless casualties of the State. 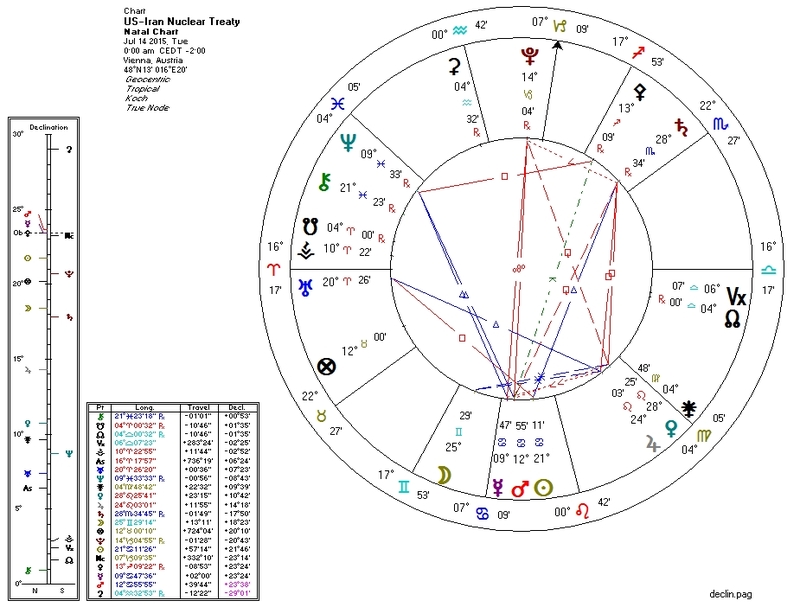 Peace/liberty events basically will always carry the signature of Pallas with her astrological "friends": the Sun, Mercury, and/or the North Node. This signature will appear in the transitory configuration in the heavens as well as in astrological transits etc. for the involved parties. This formula is not easy to spot (hence its non-discovery for two centuries since the discovery of Pallas) but is as consistent as anything I've seen in the discipline of astrology. The approximate chart for the treaty itself has Pallas contraparallel and quincunx Mercury, with Mercury semisquare Pallas' ruler Jupiter. 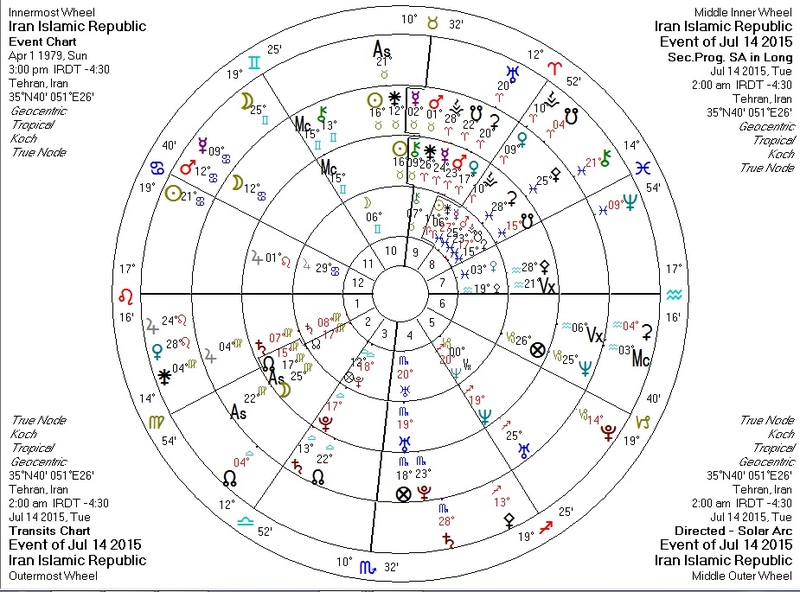 Iran: Transiting Pallas trine Iran Sun, solar arc Pallas conjunct Iran Mercury, transiting Sun quincunx Iran Pallas, progressed Sun square Iran Pallas. 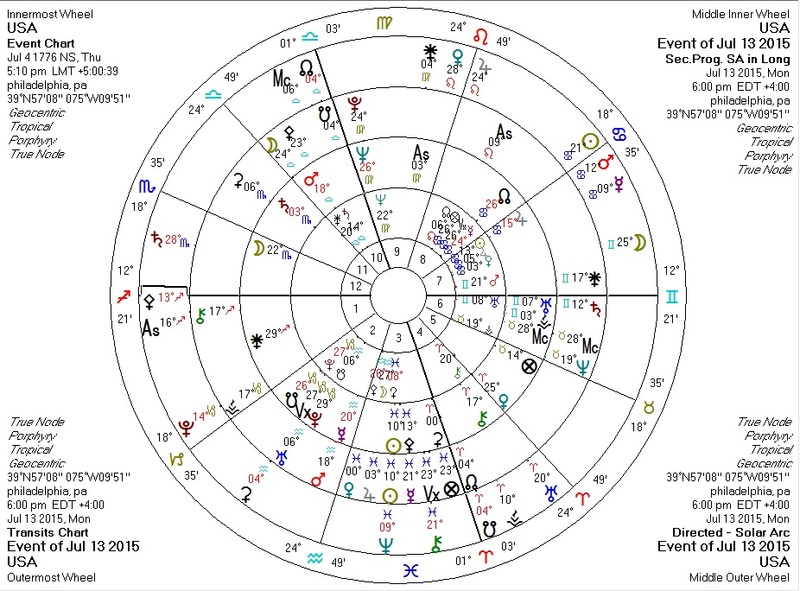 USA: transiting Pallas quincunx US Sun, transiting Pallas square progressed Pallas, transiting Sun square solar arc Pallas, transiting Mercury trine progressed Pallas. 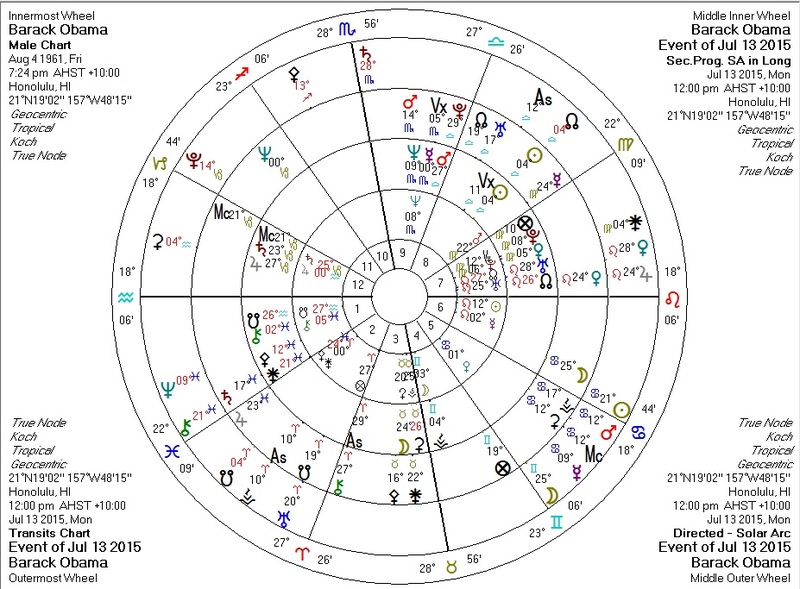 Barack Obama: transiting Pallas square progressed Pallas and quincunx solar arc Pallas, transiting Sun trine BO Pallas, solar arc Mercury opposite BO Pallas, progressed Pallas quincunx BO Sun.